You can use presentation possibilities of Remote Presentation for Skype solution to show reports remotely via Skype. 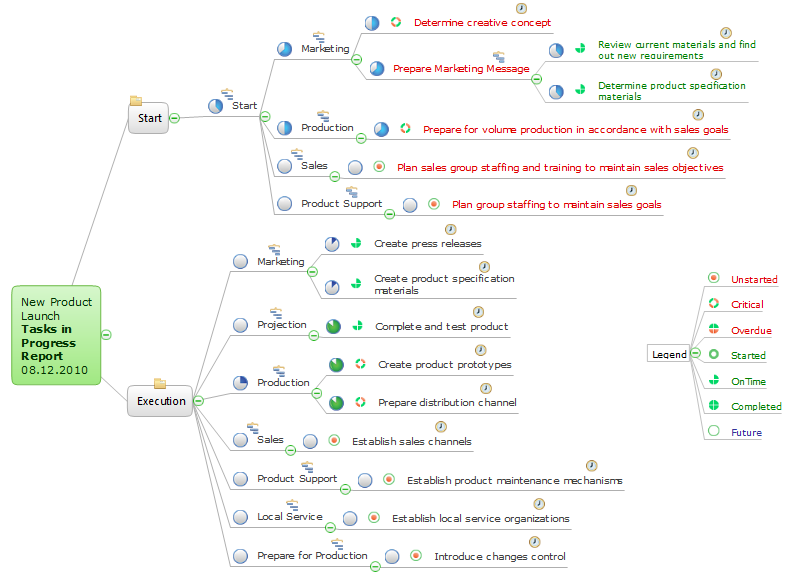 "Project tasks in progress" mind map sample is created using ConceptDraw MINDMAP mind mapping software. This mind map example helps to learn how to use mindmap presentation via Skype to show the project tasks in progress report on Web. Mind map describing the various approaches to take when dealing with difficult people. Collaboration tool for project management enables you to give a new role to knowledge management and document sharing within your team. Project Management Trends. Status report presentation tool for remote teams, using Skype to collaborate on project objectives.